On Saturday, alongside other strangers, I had the pleasure in the name of art of taking a sledgehammer and axe to James R Ford’s cursed black Nissan Primera. As widely reported he’d bought the vehicle off Trade Me and it had caused him nothing but trouble. Staging a revenge fantasy in what looked like a post-apocalyptic landscape of building rubble (ironically next to a Paint and Panel shop), Ford described this automobile attack as a ‘collaborative sculpture’, even noting on the television news the ubiquity of metal as a sculptural material. Sculpture? It’s an easy answer to the “but is it art” question. 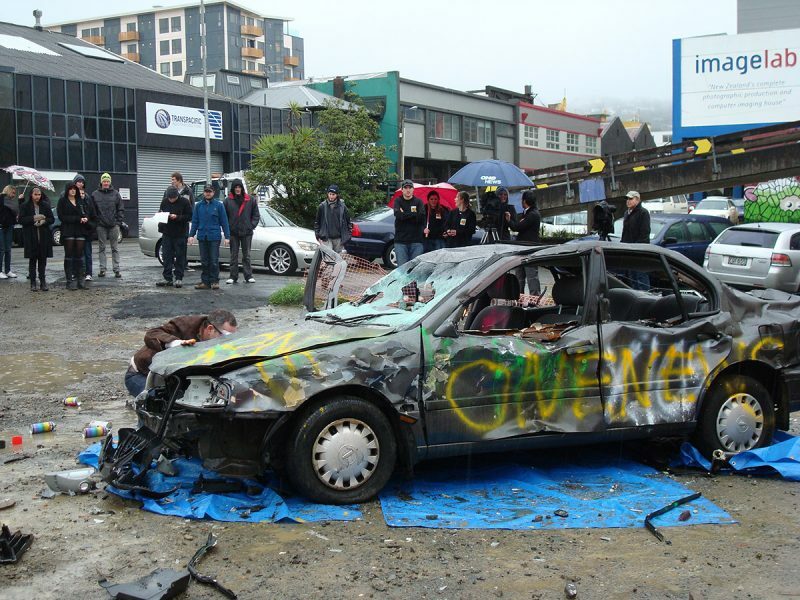 Certainly Ford’s Smash N Tag was a well positioned, poignant performance work confronting a city choked with petrol fumes. It offered cathartic release for all the stress these metallic coffins cause us. Yet I doubt the surviving car carcass could be considered a valuable art object. Sculpture suggests the building or arrangement of materials into something else. Cleverly, Ford’s work seemed to be doing the reverse. Almost an anti-sculpture, it attempted to flatten an object’s dimensions, reminding us of the base power of what the car is made out of.